Perhaps the only way for me to really appreciate Terror of Mechagodzilla (1975) is to remember what it was like to watch the film when it was new and I was 8. I am pretty sure I saw this one in the theater -- or at the drive-in -- the mind blurs as a lot of the 1970s Godzilla titles got reissued and rereleased under different titles in the States during the course of the decade. 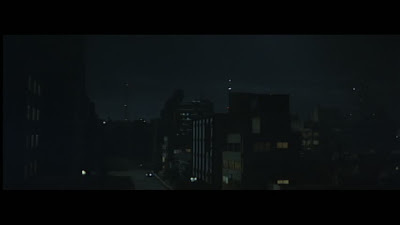 The film is pretty weak but it seems unfair to say that since this is the last film directed by Ishiro Honda. 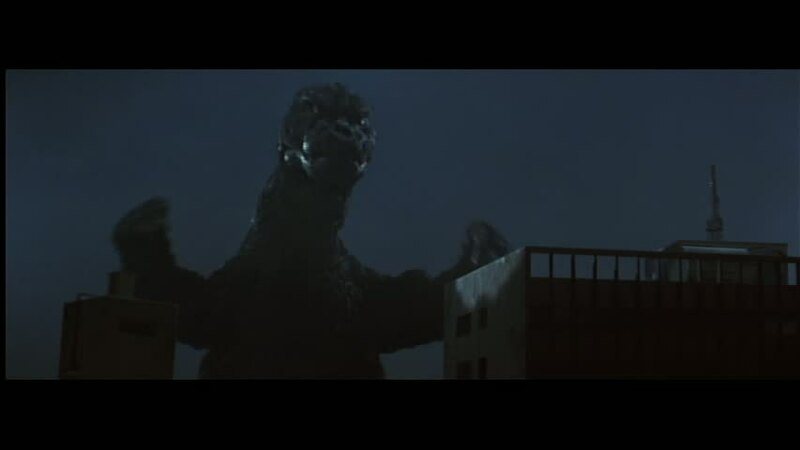 And the presence of Godzilla composer Akira Ifukube is welcomed despite the fact that it sounds like he's reusing themes from his earlier scores. 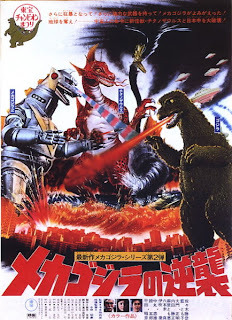 The short -- 83 minutes -- film concerns the resuscitation of Mechagodzilla -- destroyed in an earlier film by some aliens from the Third Planet of the Black Hole. At least that's how the subtitles describe the planet. 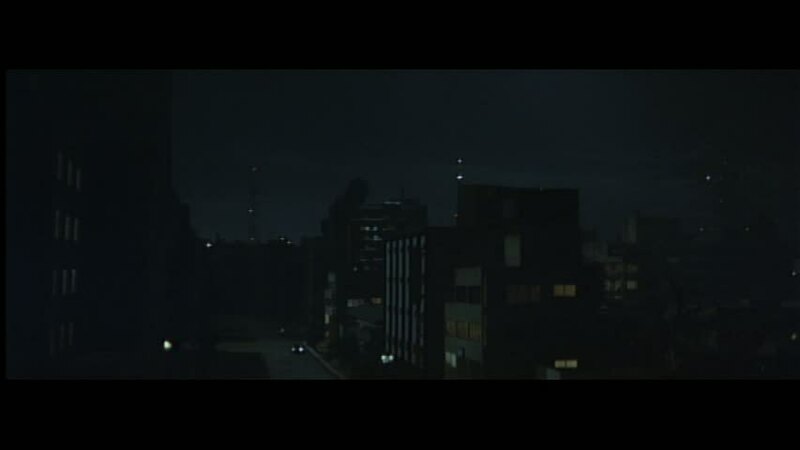 First, the daughter (Tomoko Ai) of a scientist seems to be under the control of the aliens.  The girl is really some kind of half-cyborg and the scientist is using her and Mechagodzilla due to some grudge against mankind that he's carrying around. He partners with the aliens but that relationship is not exactly clear. What is clear is that it is his technology that is allowing the aliens to control the sea creature Titanosaurus. The big monster is a sort of mind control test case before Mechagodzilla is brought back to life. 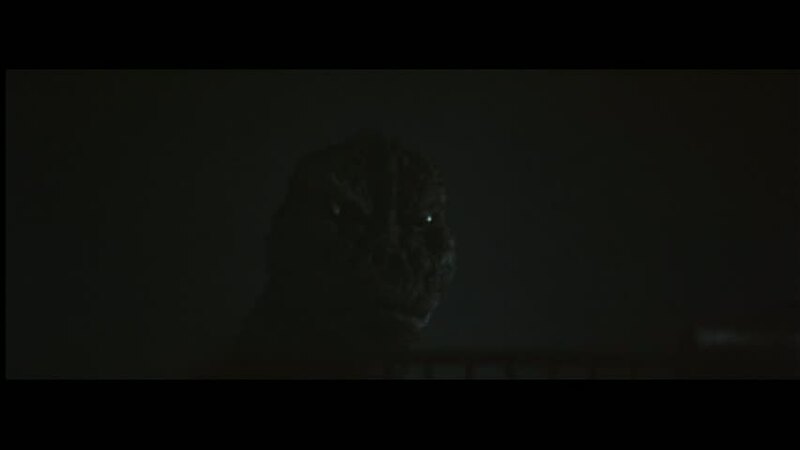 The one memorable moment in the film occurs with Godzilla's sudden and unexpected reappearance.  By now, the monster is the hero of these films but it still carries a degree of menace. Here, he shows up at night -- like a giant Batman -- just standing on the edge of the city before joining the fight with Titanosaurus. The imagery -- probably intentionally -- echoes some of the best scenes from the first Godzilla film in 1954. 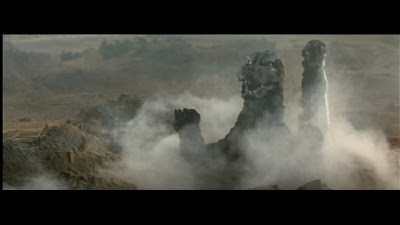 The only other moment that really appealed to the adult me was near the end when Titanosaurus and Mechagodzilla have buried Godzilla under a mound of dirt. 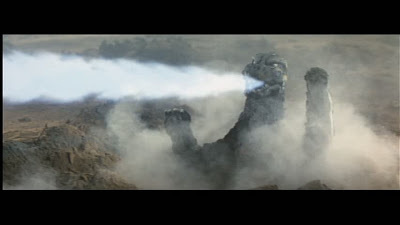 Providing the flip to the earlier sinister emergence of the monster in Godzilla vs. Mothra (1964), Godzilla emerges from underground revitalized and ready to breathe fire on Mechagodzilla. 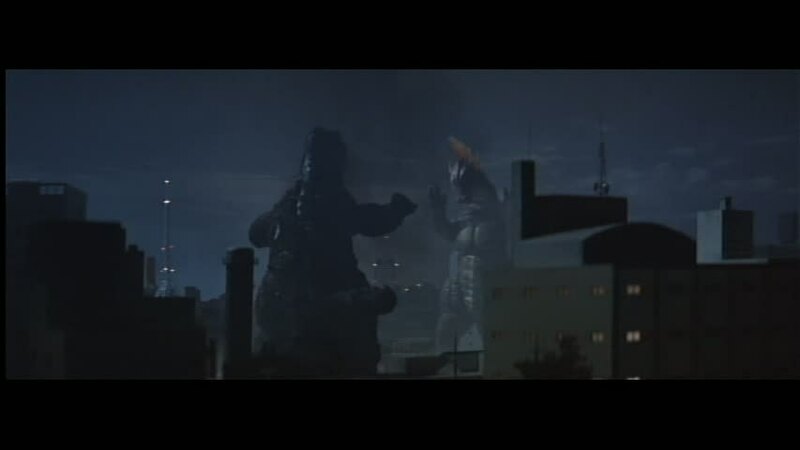 Yeah, it's a silly moment but the Godzilla films in the 1970s were increasingly silly by this point. And this was the last one until 1985.